There are various ways in which prayers are hindered. Sometimes they are factors outside our control. However, most of the time the reason for our prayers being obstructed is because we are not living in obedience to the desires of God. 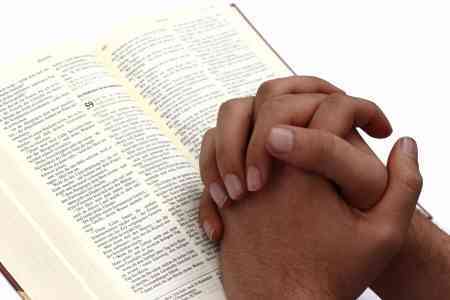 Following are Bible verses which talk about prayers being hindered. There are many verses that speak to having prayers hindered and how to have them answered. God wants us to go to Him in prayer, but He also gives us His terms for answering our prayers. Many times people who do not fully believe God’s Word will make statements like, “I don’t believe God would do…” They also think that God is like a magic genie who should obey their every desire. This kind of thinking is exactly what God addressed when He said in the 10 Commandments, “thou shalt have no other gods before me” (Exodus 20:3). We are guilty of creating our own god when we don’t regard His Word and approach Him in prayer in the way He has asked. The beautiful thing is that He wants to have a relationship with us. He desires that we approach Him in prayer. God is ready to hear our prayer and answer according to His will. We simply need to look to His Word to understand His ways. This was very helpful for me…thank you! My husband cheated on me. I want to forgive, I believe I will… just not yet. I’m still dealing with the fallout of his choices. So, if I pray that my lab tests, which I’m taking because of his adultery, come back clean, will he listen? I don’t know if I can forgive if he brought something home to me, so I pray for God to keep my body safe. Because I want reconciliation… but if its positive, I’m just not sure I can… So will He not listen because I’m unable to forgive right now? The keast I can say my dear is that we must be willingbto forgive at any time and any moment.It should not be just mere utterrance but it must be a genuine heart of forgiveness.Remember,even in trails and death,Jesus Christ gave His all and forgave them of their sins.It doesnt matter he brings any firm of illness.Know for sure,with faith as little as a mustard seed,you can profess that mountains should move into the sea and they will obey willingly.Forgive your husband and pray with faith,nothing will happen to you.And help him come to know the love that our Saviour is offering freely.